He/she is the kind of person who tries to stand out more when we are adolescents, when we are fighting to affirm our identities, our dreams, our place in the world. We are filled with doubts about what to do, and all of a sudden here comes the creep: always the leader, the one who thinks he is the best-looking, the most intelligent, the most able to face the challenges that lie ahead. In the case of boys, normally he imposes himself by brute force or by his “smart” attitudes, as if he knew more than everybody else. In the case of girls, the creep is always the one who seems to attract the looks of all the guys, get invited to all the parties, always be the most elegant. During this important rite of passage called adolescence,while we suffer from feeling neglected, insecure and fragile, the creep sails smoothly by. One fine day, when we are already adults, we think about getting together with our friends from adolescence. We organize a party, usually in a restaurant – where everyone shows up with their husbands and wives. The creep shows up – generally married like the rest of us. We are all interested in what has become of his/her life. The first surprise is that the creep went nowhere. Or rather, he may have taken a couple of successful steps, but soon life proved implacable towards his arrogance – the adult world is quite different from the one we live in when we are young. When dinner starts, it seems that we have all been transported back, but soon we realize that he was just an instrument to enable us to grow. After a couple of drinks, we see the creep at bay, trying to prove a strength that no longer exists, feeling that we still believe that he is the leader of us all. We smile, exchange kind words with everyone, pay the bill and leave with the impression that the creep has made the wrong choice. We think: “everything in that person should have worked out right, and it didn’t”. 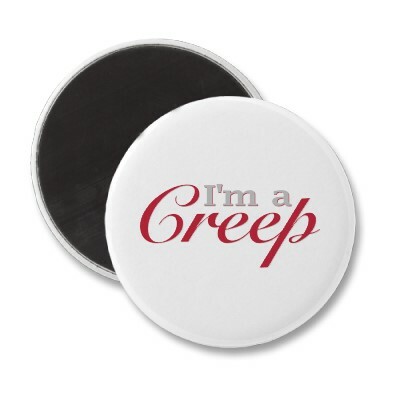 All of us have known a creep or two in our lives. And that’s just as well.